Let these subtle, yet sultry, Tacori earrings from the City Lights collection become your favorite accent piece. 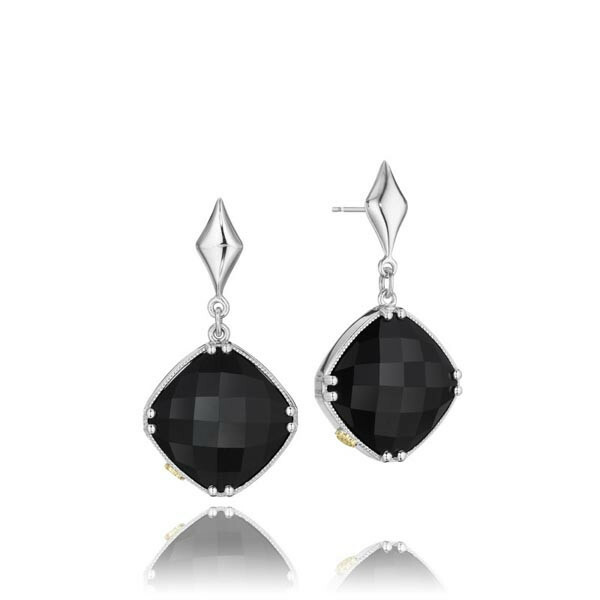 Lavish black onyx gemstones with a cushion cut are set in bright sterling silver and trimmed with a milgrain edge. These lush pillows dangle from a diamond shaped stud, and each one is kissed with an 18kt yellow gold Tacori seal. Fabulous for any look, you'll never want to take these Tacori earrings off!